There was a geek who introduced lot of new inventions to the market such as the Mouse, Click Wheel and Multi Touch. iPad, worlds number one tablet, all number one devices are by Apple and it was all by Steve Jobs as he was motivated into the company 24/7. I still remember when at the AllThingsD a guy around theÂ publicÂ raised up the question that how much do ou participate inÂ companysÂ work, Steve Jobs replied with a feeling that he loves to go at Apple every morning with new thoughts and ideas. In his public life, Steve was known as a visionary; in his private life, he cherished his family. We are thankful to the many people who haveÂ sharedÂ their wishes and prayers during the last year of Steveâ€™s illness; a website will be provided for those who wish to offer tributes and memories. 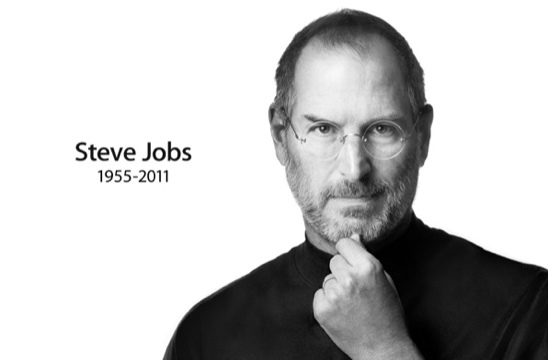 Very sad lose a genuine innovator. My condolences.